Well, that's done. I feel pretty good about it. Mostly because I did the best I could and now it's out of my hands. 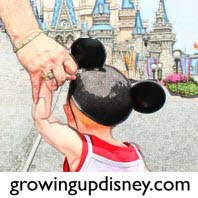 I went with my first real take on my video about a favorite Walt Disney World vacation memory. Eeek! Thanks to Ashley, Andy and Chris for being great resources! Fingers crossed! Now what was the favorite memory and when are you going to post the video? What no sharing! I wanted to see that video! Best wishes!!!! So looking forward to hearing about round three, I just know you'll make it! Yay, didn't know you made it to Round 2! You'll make it! Good luck!